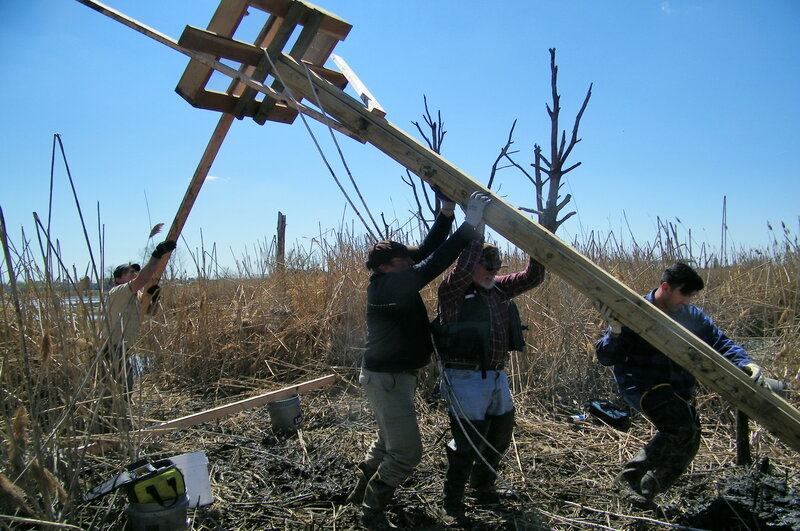 Great teamwork today on the construction and installation of an Osprey nest by Meadowlands naturalists and scientists! There are hopes that a pair of area Osprey will soon claim the platform as their new home and begin work on a nest. 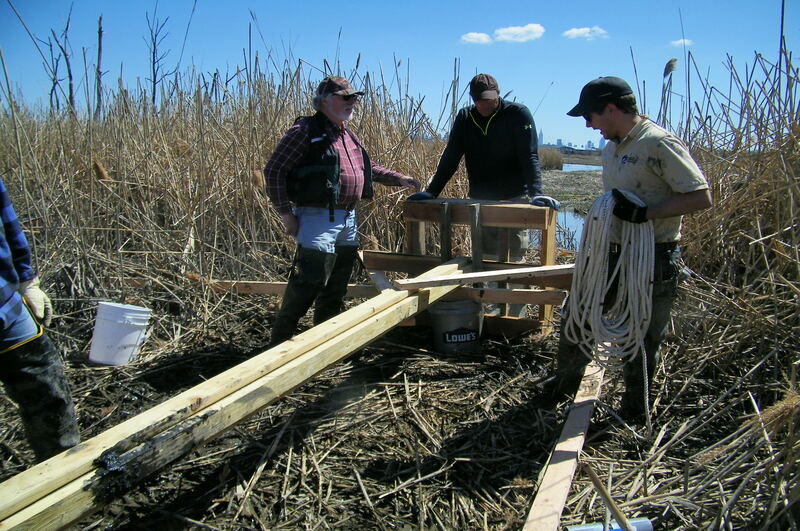 Many thanks to the Bergen County Audubon Society for donating toward the cost of the platform! Walk and Earth Day Celebration at DeKorte Park Next Week! 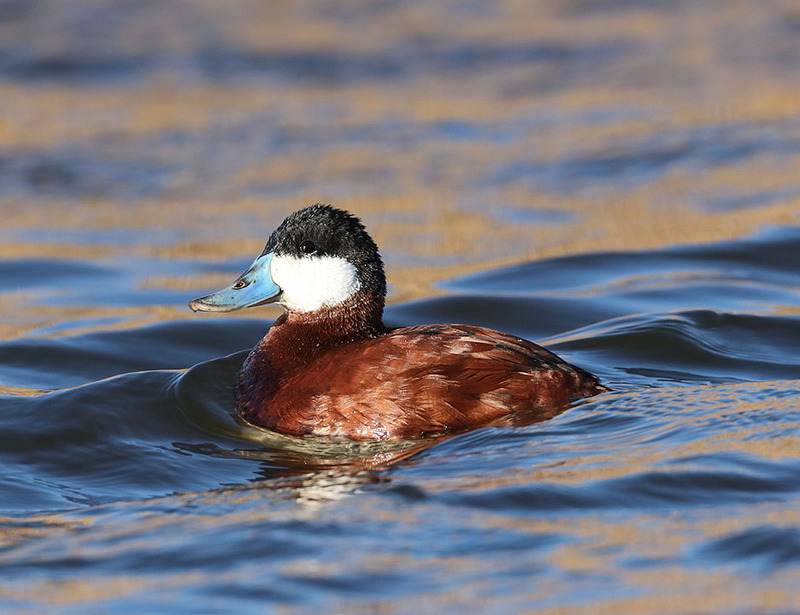 Join the Bergen County Audubon Society for two great events at DeKorte Park next week. Fist up is a nature walk on Tuesday the 19th from 10 am to noon, during which they’ll be looking for recently arrived spring migrants. 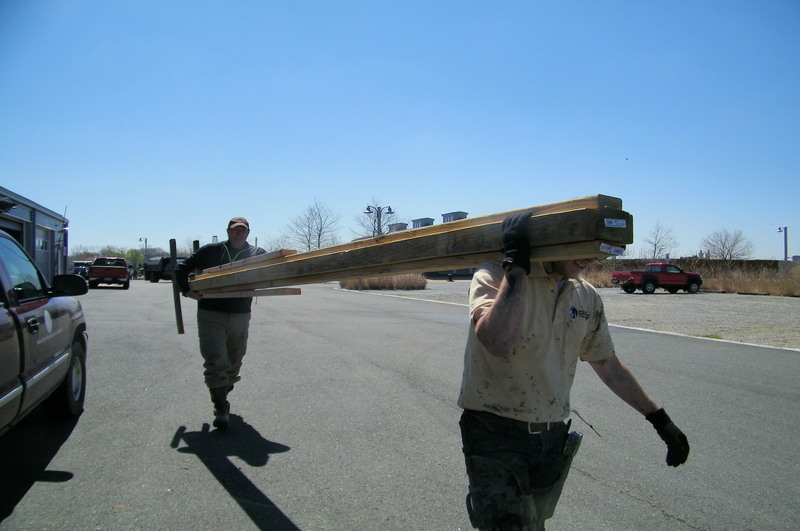 The walk meets outside the Meadowlands Environment Center. 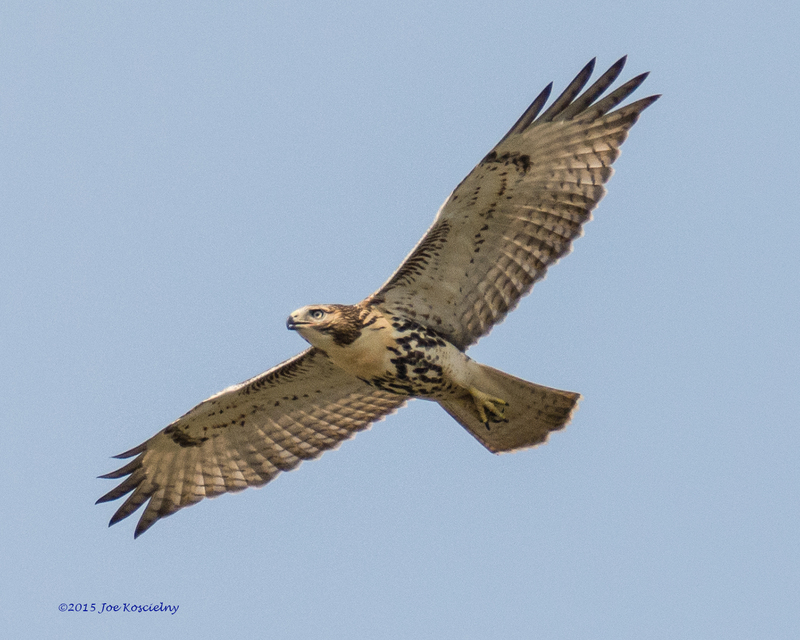 On Friday the 22nd, the BCAS celebrates Earth Day with “Return of the Raptors.” The event, from 1:30 to 3:30 pm, begins with a talk on raptors in the Environment center followed by a walk around the park. Both programs are free. Register here For more information, email greatauk4@gmail.com or call 201-230-4983. Support the Meadowlands Mash Hawks! 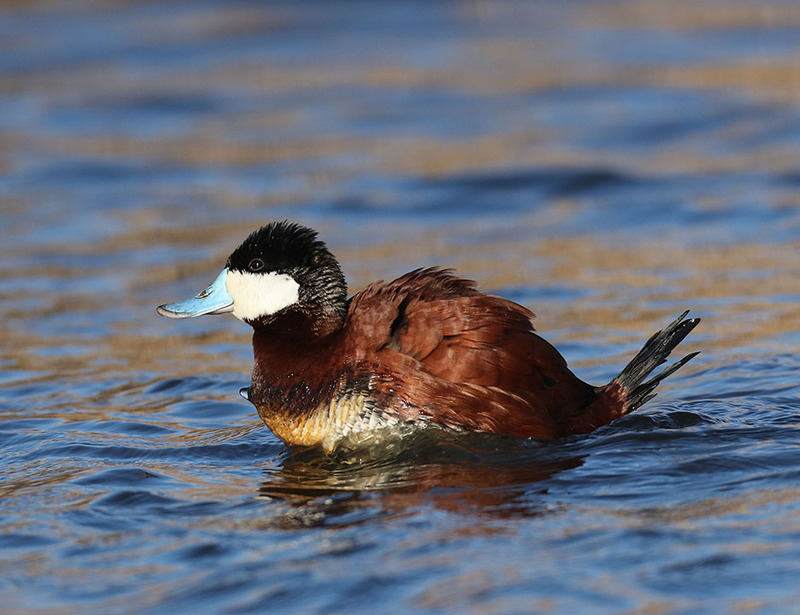 With bird migration here, the New Jersey Audubon Society’s World Series of Birding is just around the corner – Saturday, May 14. The past champion Meadowlands Marsh Hawks are competing once again and need your help. 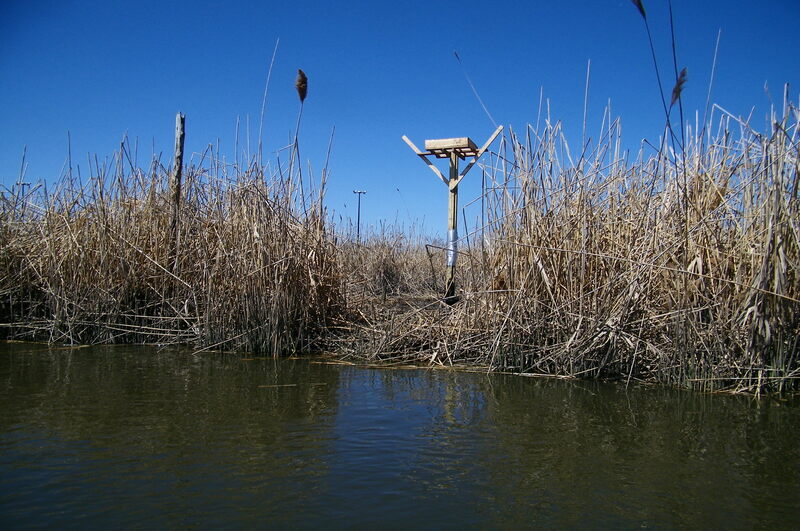 The Marsh Hawks are raising money to purchase transmitters to help researchers track the movements of Harbor Herons and their foraging locations in New Jersey and New York. 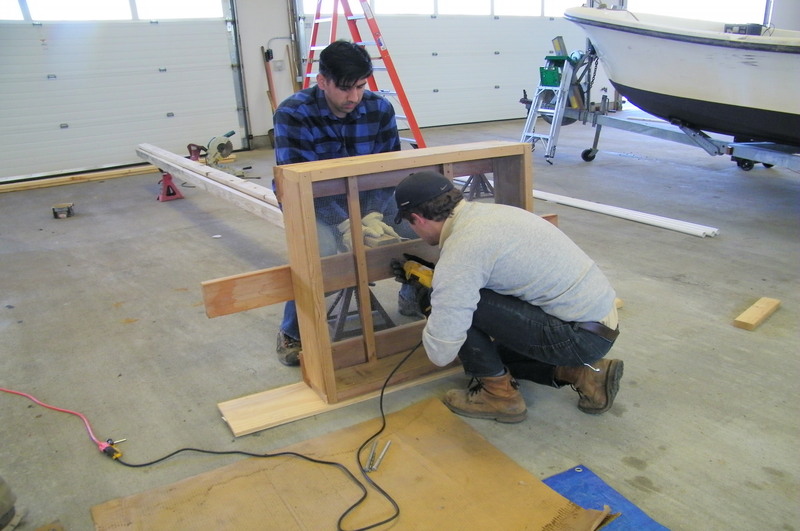 There’s also an educational aspect to their efforts. 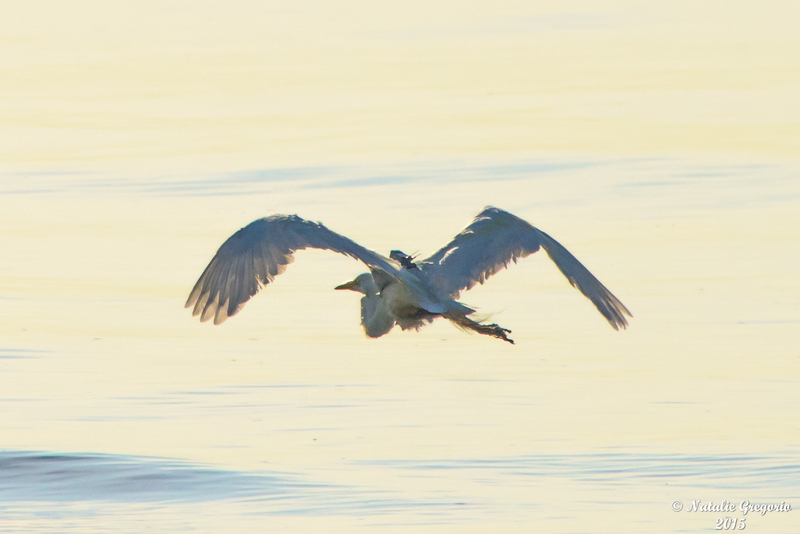 Children in schools on Staten Island have “adopted” Clarence, one of the egrets that was tagged last year. These students have been following the bird’s movements all year with text messages that are being sent from the transmitter placed on the egret’s back – the device does not harm or cause discomfort to the bird. The kids are having discussions on bird migration, bird behavior, and bird and habitat conservation. The money raised from this year’s effort will provide more transmitters to be placed on birds so more invaluable data can be collected and further the opportunity for children to be involved in the project. The Marsh Hawks consist of local birders Chris Takacs, Mike Wolfe, Zachary Batren and Mike Newhouse. For more on how to support the team, click here. 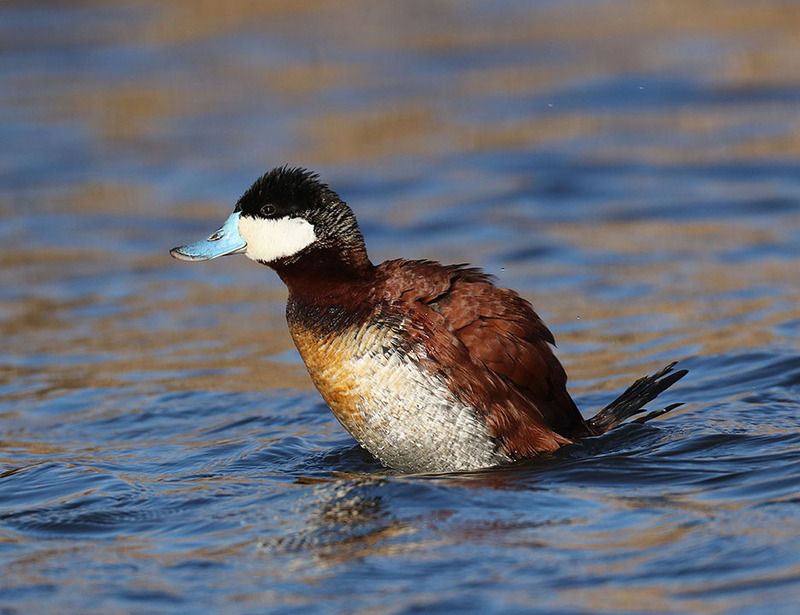 The World Series of Birding is a 24-hour event in which teams compete to tally as many species of birds by sight or sound as possible. 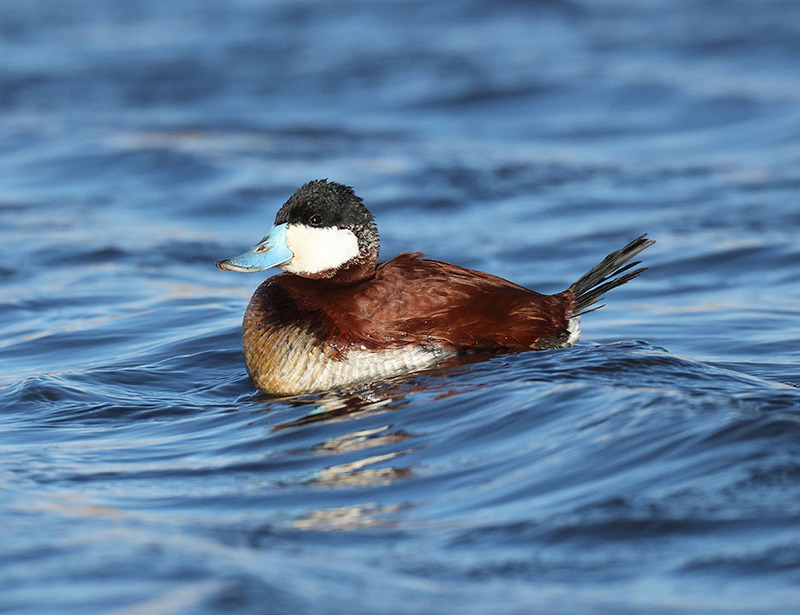 The objective is to raise money for their favorite environmental cause, and to focus worldwide attention upon the habitat needs of migrating birds. People may pledge fixed donations or amounts per species seen. 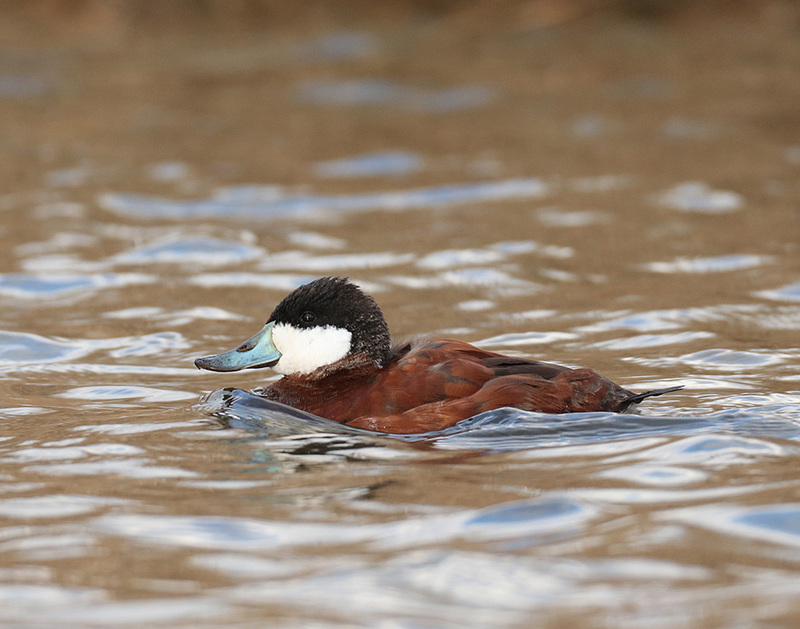 Ron Shields captured several male Ruddy Ducks in the process of reaching full breeding plumage yesterday at DeKorte. These beautiful photos were taken from the Marsh Discovery Trail.